​We had another great day and great turnout for our Bass fishing event this year! Thank you to all of our wonderful volunteers and the captains that brought their pontoon boats. It's all of YOU that makes days like this possible. Mike and Geoff Howe (owners of Howe and Howe Technologies) founded Outdoors Again with the goal of getting wheelchair users re-involved in outdoor activities. Since the inception of Outdoors Again, we have gone through a lot of changes that largely reflect the changing needs of the disabled community. We found an increasing need for programs to get Veterans with mobility issues back outdoors doing the things they love. So Outdoors Again has stepped up to fill that void. We now provide activities for the entire wheelchair community. Together we can build a stronger community through giving and togetherness. In the past Outdoors Again hosted fishing derbies, gold panning adventures, hunting expeditions and trips to major sporting events and concerts. This year we will increase programming with more events and family outings. Together, with your help, we can inspire and create opportunity . Please consider becoming part of our community by donating to Outdoors Again. 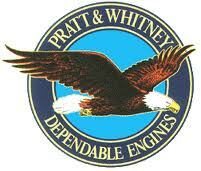 We would like to thank Pratt & Whitney for awarding us a $5,000.00 grant.